You can't have an IT modernization discussion today without talking about the cloud. With this new level of data management, it’s crucial to pick the right backup strategy that will both work for your infrastructure and ensure the best data protection in the cloud. This choice will depend on things like your current backup strategy, security policy, downtime tolerance and other factors. To help you get started on this journey, we’ve rounded up a substantial base of reports and information revolving around cloud data protection. 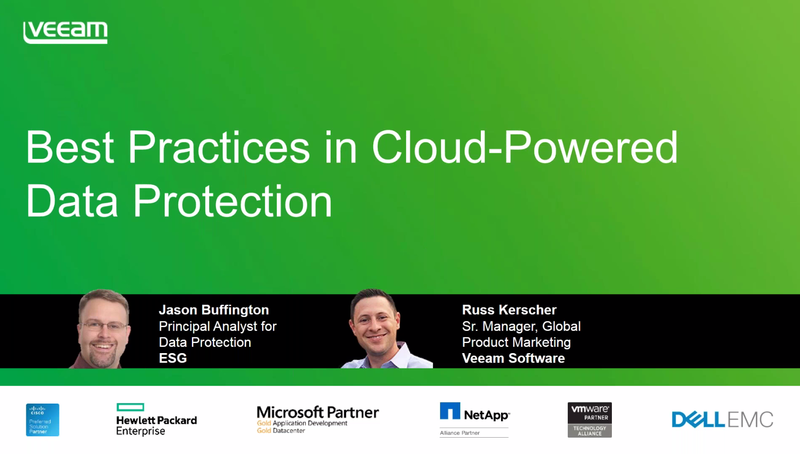 You will learn why cloud-powered data protection makes sense for so many companies, based on the use cases of existing cloud users. We’ll discuss the main concerns about data protection in cloud computing based on the reports of non-users. And, since the cloud is not just a one small thing but a several layers of interaction between things like BaaS and DRaaS, we’ll explore them and show how they affect your data and your recovery options.